All our professionals at Ballenger Creek Dental Associates maintain the highest levels of accreditation and pursue ongoing education to stay abreast of the latest trends in dentistry. Dr. Mark C. LeMonnier is originally from Chicago. He completed his undergraduate studies with honors from Illinois Benedictine College (Benedictine University), where he received several awards for Academic Excellence and Scholarship. Dr. LeMonnier earned his dental degree from the University of Illinois; College of Dentistry in 1991, where he also served as a Dental Materials Teaching Assistant and upon graduation was awarded The Chicago Dental Society Scholarship Award. Dr. LeMonnier's professional experience began with his Commission, as a Dental Officer, to the United States Public Health Service. He spent five years serving the Native American population in both hospital-based as well as community- based dental offices in New Mexico and Washington. As an Officer of the USPHS, he earned commendations for Outstanding Service and Leadership, as well as promotion to Lieutenant Commander. Following his selection for the Inactive Reserve Corps, he chose to continue his career in private practice. 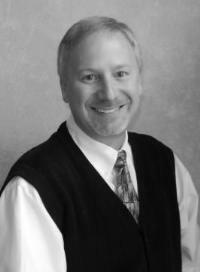 Since 1996, Dr. LeMonnier has been practicing in Maryland, the majority of those years serving the Frederick Community. Throughout his career, Community Service has remained a consistent theme. From his participation in Operation Outreach, while in dental school, to having been named Woodmont Academy's 2004 Volunteer of the Year, Dr. LeMonnier believes one's talents exist solely for the purpose of being shared. Dr. LeMonnier is currently participating in several professional associations as a member of the American Dental Association, the Maryland State Dental Association, the Frederick County Dental Society, and the Francis Scott Key Study Club. When not in the office, you can usually find Dr. LeMonnier just trying to keep up with his wife and two children. From time to time he can also be seen on a golf course, hanging out with friends in the neighborhood, or hiding behind a good book. His family's support, broad background, continued up-to-date dental training and outstanding dental team are the sources of his passion for dentistry; ensuring that his patients receive the most comprehensive and advanced dental care he can provide. Dawn will greet you with a smile, schedule your visits and coordinate your insurance. She can also frequently be seen rocking babies, coloring with your kids, or arranging rides for our "seasoned-citizens." With Dawn, it’s all about her family. When not volunteering at school, she’s usually chasing after her Australian Shepard or fabricating elaborate and creative Halloween costumes. Her sense of family permeates all that she does, so it’s natural that she’ll make you feel like part of ours. 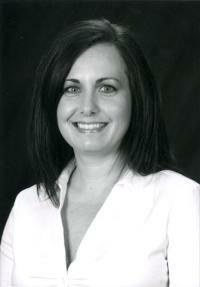 Dawn has been working alongside Dr. LeMonnier since 1998 and has lived here in the Frederick area since 2001. Since joining our team in 2009, our hygienist, Erin, continues to earn compliments daily for her gentle hand and thorough cleanings. She loves helping you learn the best way to keep your smile healthy. As long as you don't mind hearing about the Steelers, she might even talk football with you. 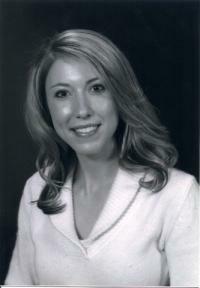 Erin is a 2004 graduate of Allegany College of Maryland and a 2005 graduate of West Virginia University. In her spare time Erin and her husband enjoy renovating their home, and she’ll often be seen walking her crazy Weimaraner around downtown Frederick.